Book a class with us for a time which will suit you. 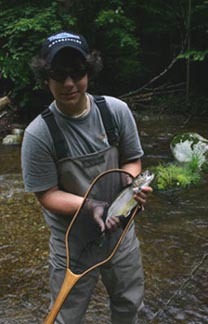 In Trout 101 you will be thoroughly exposed to the details of trout fishing in a real class setting at Rivenridge at Piney Forks, our private trout lodge in the George Washington National Forest. Float Fishing-101 is designed for beginners seeking maximum variety and have never been fishing from a raft before but would like to try. Trout 101 seeks to break down the process into simple steps, taking the mystery out of the sport. We will cover subjects such basic casting, roll casting, mending line and side-arm casting. 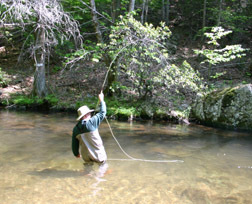 Separate sessions will cover knot tying, stream entomology (which flies to use and why), locating fish and reading a stream. 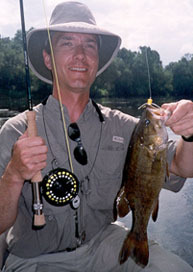 Also discussed will be fundamentals of selecting a fly rod and which fly rods to use for given situations. Because this class is conducted on-stream you can immediately apply your newly-learned skills to the real conditions of moving water while you fish our private waters. Student:teacher ratio will not exceed 3:1. Dates are subject to availability of guides and stream! Let us know with form below what dates suit you best and we will respond promptly! Rate: 2-Day Program $335 per person for 2 people, 2 days.. Lodging: Rivenridge at Piney Forks may be available for lodging. Inquire for availablity. Customized Class dates - If you have a group of 4 or more, we can reserve Rivenridge at Piney Forks exclusively for your group with sufficient advanced notice. Taking a trip out west with friends who are beginners (and you want to fish rather than teach)? 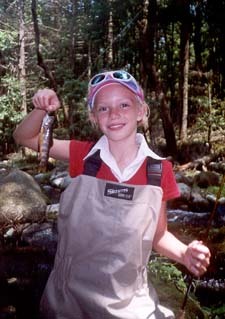 No problem, we will teach your friends or family how to fish in our beautiful setting. We recommend 2 overnights for this trip at our Rivenridge at Piney Forks lodge. Customized Class Rate: Class rate of 2-Day Program $335 per person plus lodging. From Mid-April through September we offer a casting class on the water with a day of wading and day of float fishing from a raft. 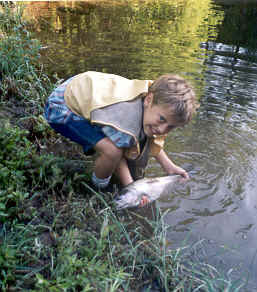 Casting instruction format will cover same basic topics as Trout 101--basic casting, roll casting, mending line and side-arm casting, knot tying, locating fish and reading a stream. The Friday class venue will take place while wade fishing, and the Saturday class will occur on a raft on local water (depending on fishing conditions). For those who have never floated a river, this class offers a perfect way to learn many fly fishing techniques while enjoying different scenery, all at a great value. Limited to 6 spots, so make your decision early. 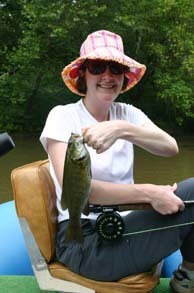 Student :Teacher Ratio is 2:1 on an Angler’s Lane raft. 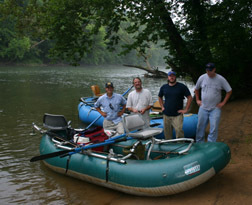 Float Fishing 101 will be held on the river which is fishing the best at this time of year. 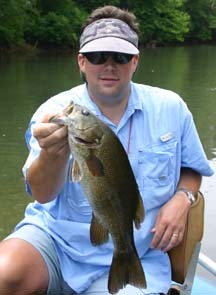 You will enjoy both wade fishing and float fishing from the boat while we provide customized instruction on the water. $425 per person. Includes: lunch each day, sodas & water, fishing pass, 6-fly take-home selection, leaders, tippet; rental of rod, reel, waders, and wading shoes. Excludes: lodging, breakfast & dinner, transportation to river or lodge; and fishing license (purchase license).